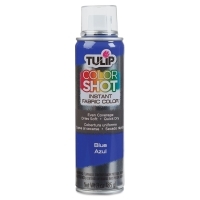 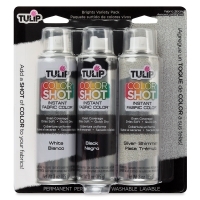 Tulip ColorShot Instant Fabric Color Spray dries quickly and soft to the touch, and it won't crack or wear away. 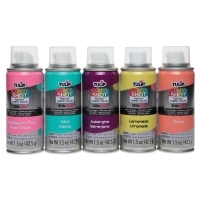 This spray fabric paint is perfect for a dash of color or for allover, even coverage. 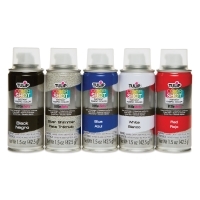 It works wonderfully with stencils and monograms. 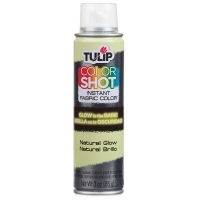 Use it on most natural and synthetic fabrics. 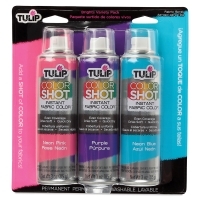 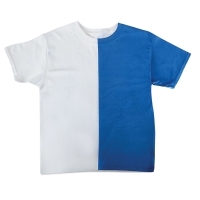 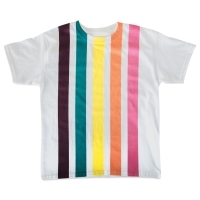 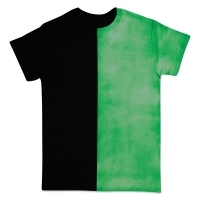 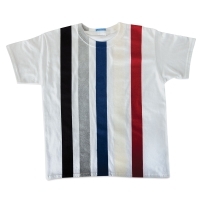 ® Tulip is a registered trademark.® ColorShot Instant Fabric Color is a registered trademark. 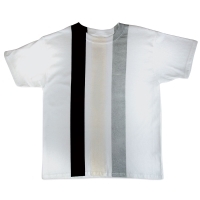 ™ Littleshots is a trademark.